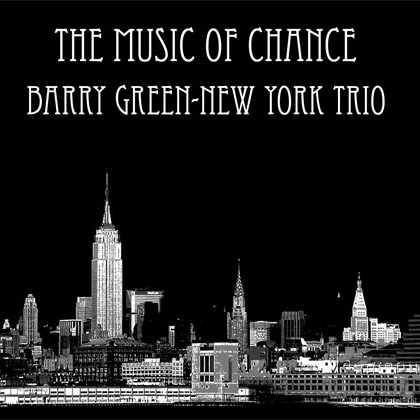 Barry Green only graduated in 2002, but his versatility and imagination have seen him turning up all over the UK jazz scene. The pianist tours in January with a quartet that includes the excellent saxophonist from Outhouse, Mark Hanslip. This, however, is a trio session featuring American musicians Ben Street on bass and Jeff Williams on drums. Green is a subtle explorer of time-bends, adopting a Monkish hobbling gait and a prodding chord delivery on Alone Together. He almost absent-mindedly sketches Stevie Wonder’s I Believe over bass and drums churning at twice his speed, before accelerating with a flinty determination. The Monk connection is even more apparent in his dogged chipping at a single phrase on I’ll Be Seeing You, and a fast account of Played Twice that hides the tune all the way up to Street’s nimble bass solo. Someone to Watch Over Me winds the theme into softly weaving contrapuntal figures, and a hard-rolling Subconscious Lee highlights Green’s shrewdly paced melodic development and Williams’ bustling encouragement. It’s very jazzy but very fresh – a piano-trio set that can stand up with some of the best.